If you've driven through Avon and seen the banners throughout the French Creek District, the gazebo at Heritage Square, the Centennial Plaza with clock (in front of the old Police Department), or the flower-filled cement planters along Detroit Road between S.R. 611 and S.R. 83, then you've seen the commitment of French Creek Foundation. 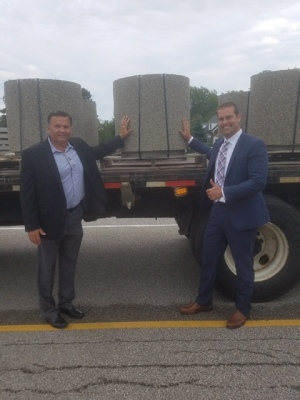 FCF purchased 9 additional cement planters that were installed on Monday, July 10, 2017, in the eastern end of the French Creek District (from S.R. 83 east to Middleton Avenue). Each planter weighs about 700 pounds and cost approximately $400. French Creek Foundation heartily thanks Mayor Bryan Jensen and the members of Avon's Service Department who assisted with the installation. Mayor Bryan Jensen and French Creek Foundation's President, Clint Gault attended the installation. 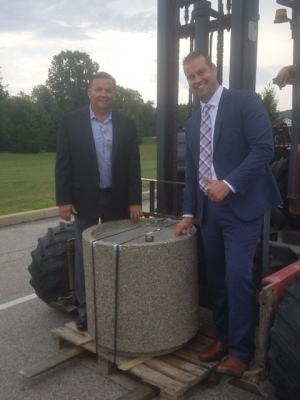 As part of the 2014 celebration of Avon's bicentennial, FCF purchased and donated 15 large cement planters, which were placed on the south side of Detroit Road from S.R. 611 to S.R. 83 in the French Creek District. Each planter weighs about 700 pounds and cost approximately $400. 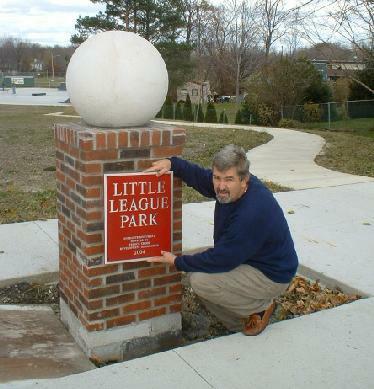 On Saturday, December 4, 2004, at 5:00 pm, FCF dedicated a monument marking the entrance to Avon's Little League Park at 36744 Detroit Road. The monument features a brick column topped by a 600 pound, 24 inch diameter concrete ball. The structure is fitted with a plaque that reads "Little League Park". FCF selected the project because it enhances the French Creek District and identifies the newly improved municipal park, which includes baseball fields as well as a new skateboarding facility. 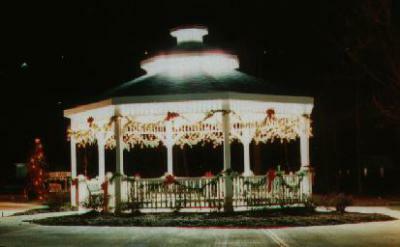 In 1999, with the help of many businesses and residents, FCF completed work on the park and gazebo at Heritage Square, located at the corner of Detroit and Stoney Ridge Roads.